The Department of Defence has a maintenance backlog of R7 billion, mainly due to poor performance by the National Department of Public Works. This is according to the latest Department of Defence (DoD) annual report, which states that the maintenance backlog on DoD facilities is estimated at R7 billion. “The maintenance backlog can be attributed to the low expenditure figure by National Department of Public Works in executing planned maintenance tasks on DoD facilities, resulting in a year-on-year increase in the maintenance backlog. 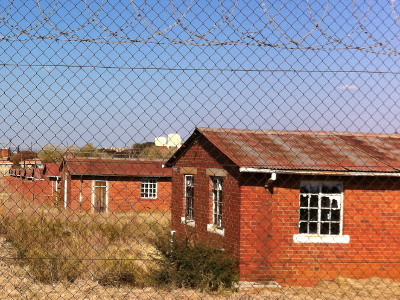 The Department of Public Works has long been a hindrance to the South African National Defence Force (SANDF). Due to slow and unsatisfactory performance from the Department of Public Works in maintaining and upgrading military facilities, the Department of Defence created the Defence Works Formation, which was expected to begin refurbishing the first floor at 1 Military Hospital as a pilot project. According to the latest annual report, the DoD Works Formation capacitation was at 82.3% with a current strength of 2 117. The DoD Works Formation is conducting 132 own-resource projects throughout the nine provinces of South Africa, with a total of 17 completed during 2017/18. However, the annual report notes that the DoD Works Formation current structures (Artisans and Professional) are inadequate to meet the expected output. The SANDF is implementing a number of major infrastructure upgrades, with billions of rands allocated to these over the next few years. Joint Logistic Services was allocated R3.315 billion for the 2017/18 year compared to R2.925 billion for 2016/17. During the 2017/18 period, nine out of 29 planned capital infrastructure projects were completed. An amount of R205 million, representing 74.16% of the planned expenditure, was spent on 52 out of the 65 planned capital infrastructure projects during the year under review. The under achievement in planned expenditure was due to supply chain management challenges within National Department of Public Works along with challenges experienced with a number of appointed contractors, the annual report stated. Ten of the 17 refurbishment projects planned for 2017/18 were completed during the year. An amount of R423 million, representing 94.04% of the planned expenditure, was spent on 39 out of the planned 45 refurbishment projects during the period under review. The under achievement in planned expenditure was due to supply chain management challenges within National Department of Public Works along with challenges experienced with a number of appointed contractors. There are a number of big infrastructure projects underway, including constructing a base hospital in Port Elizabeth, which is expected to be completed by 2023/24; upgrading and refurbishing 2 Military Hospital, which is expected to be completed by 2019/20; refurbishing the 6 South African Infantry Battalion in Grahamstown, which is expected to be completed in 2021/22; refurbishing the school of engineers in Kroonstad, which is in the planning stage and is expected to be completed by 2024/25; refurbishing air force bases in Bloemspruit and Overberg, which are expected to be completed in 2024/25 and 2020/21, respectively; refurbishing the South African Army and South African Air Force headquarters in Pretoria, which is expected to be completed in 2023/24; and refurbishing A-Mess military base in Thaba Tshwane, which is expected to be completed in 2023/24.